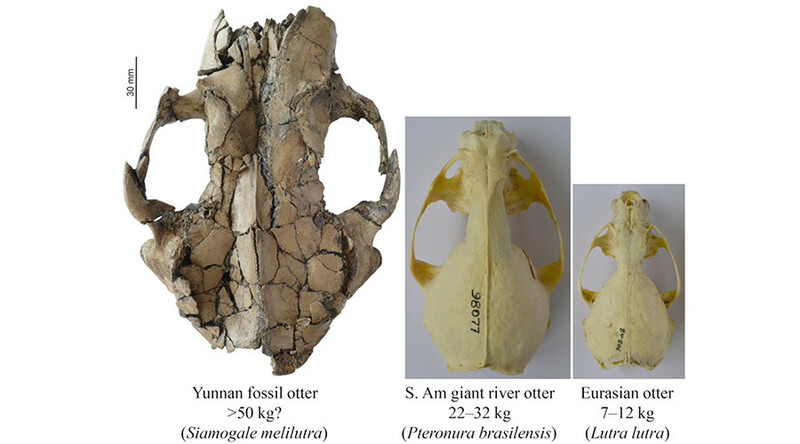 A six million year old fossil belonging to a previously unknown giant otter species has been discovered and digitally reconstructed by US paleontologists working in China. 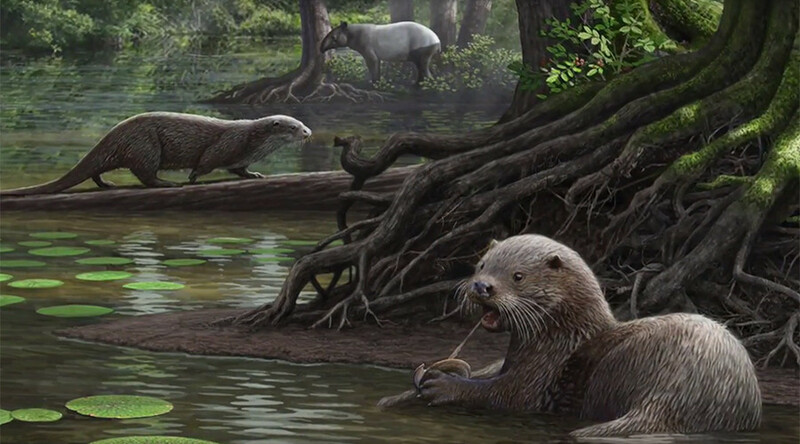 The ancient otter, described by paleontologists as comparable to a modern wolf, is among the largest known otter to have ever lived, according to a research team led by Denise Su from the Cleveland Museum of Natural History. The remarkable discovery of the prehistoric creature, named Siamogale melilutra, first took place in Shuitangba quarry, a former lakebed, in southwestern China, in 2010. A complete skull was initially found while later searches proved fruitful in locating additional fossils including lower jaws, teeth and several limb bones. "The skull was unlike [that of] any other animals found so far, and that's when we realized that this is something unique and important," researcher Xiaoming Wang told Live Science. The fossil discoveries were particularly significant as otters have a poor fossil record. Scientists used a CT scanner to digitally restore the skull’s shape, which had been crushed and found both otter and badger like features. The 3D digital reconstruction allowed the team to see the skull as it originally was and view it in different orientations. While this extinct otter is twice the size of the modern otter, weighing 110 pounds (49.8kg), it’s likely that it had similar habits to today’s species, such as using its teeth to crack molluscs, according to researchers. One of the questions the team posed was if this and similar traits were inherited from a common ancestor or if they emerged as a result of living in similar environments. After an analysis of fossil teeth, where they found the teeth had evolved at least three times in three different lineages, they concluded the similar traits were due to living in similar environments and were not inherited. The team will now conduct more analyses to determine why this species was so large and how its size affected its movements and living conditions. 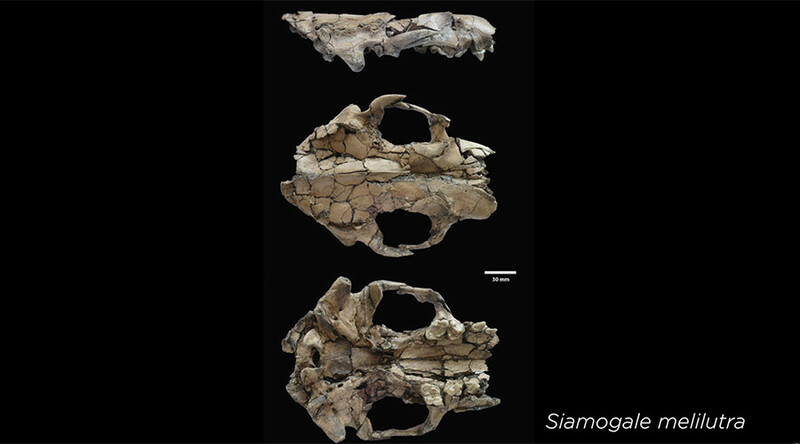 Details of the new otter species and the team’s research are published in the Journal of Systematic Palaeontology.